We joined a Russian/English tour, both tour guides were absolutely lovely ladies, super friendly and helpful, and spoke good English. our day started early, 0500 pick from Karon, full bus, which was abit squishy, stopped at a servo for a simple breakfast. Arrived at the "pier" which was a beach, right before the bridge attaching phuket to main land Thailand. 1hr 40min on the speedboat had us out to the 1st island stop, lookout walk and gorgeous beach, shady areas to sit and enjoy the view. afew rocks to walk over to get back on the boat. then 2 sites for snorkling off the boat before lunch at Princess Bay, lunch was under whelming compared to other cheaper tours we had been on. tour guide Yui had told us the "lunch box" wasnt great, bit confused as we thought we were having buffet lunch. 2 hours on the island to explore and swim, which hundreds of the tourists, loads of Chinese taking glamour shots in full dress. Speed boat home made a Russian guy throw up on some of us, wasnt awesome. and 3 hr bus ride was longer due to evening traffic, but was a great day. Just 84 km northwest of the deckchairs and bustling crowds of Patong lies the gateway to another, far less congested, world. 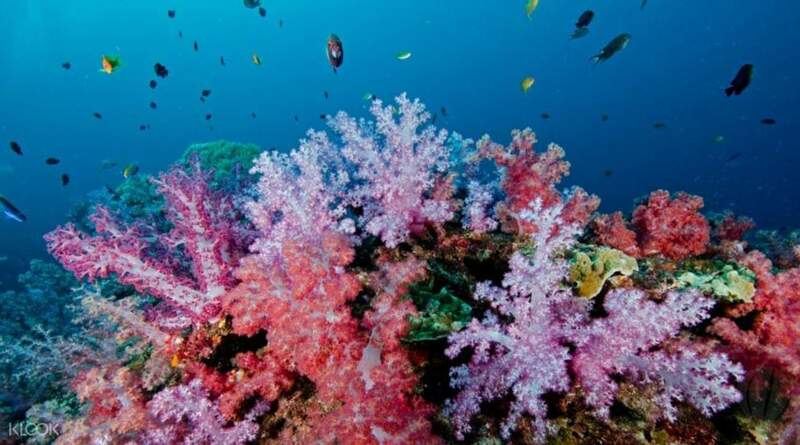 Koh Similan is one of the Andaman's most spectacular island groups, largely due to the strikingly clear blue waters that surround it, worthy of being considered one of the 10 most interesting underwater sites in the world. Cruise by speedboat to this island paradise, snorkel amongst tropical fish and colorful coral, enjoy a seafood island lunch and relax on what are widely renowned as Thailand's whitest sands. A surcharge of THB200/person will apply for pick ups in Cape Panwa, Rawai, Naiharn, Kamala, Surin, Bang Tao, Cherntalay, Layan, Nai Thon, Nai Yang, Mai Khao, Kok Kloi, and Na Tai. Early pick up by driver on time. Have a great breakfast before heading to pier. Yui and Marina are friendly and nice guides . 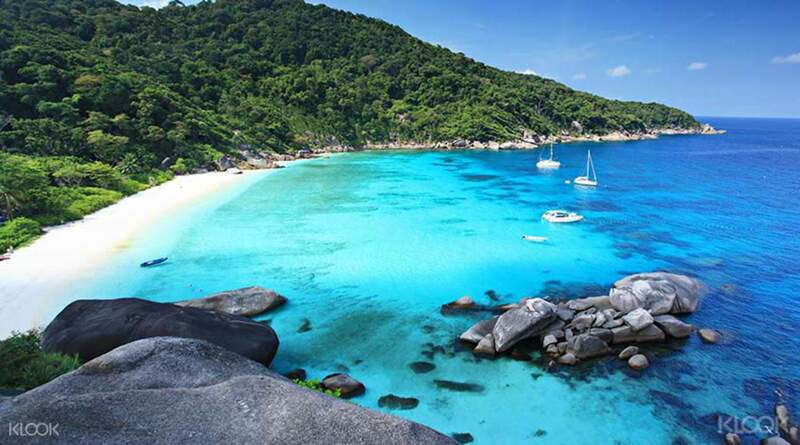 Koh Similan is a must go in phuket! It will be great if only go for one snorkelling instead of two. We will be given more time to stay on the beach. The last island we having lunch is amazing! Crystal clear water 💙 All picture capture without filters. Early pick up by driver on time. Have a great breakfast before heading to pier. Yui and Marina are friendly and nice guides . 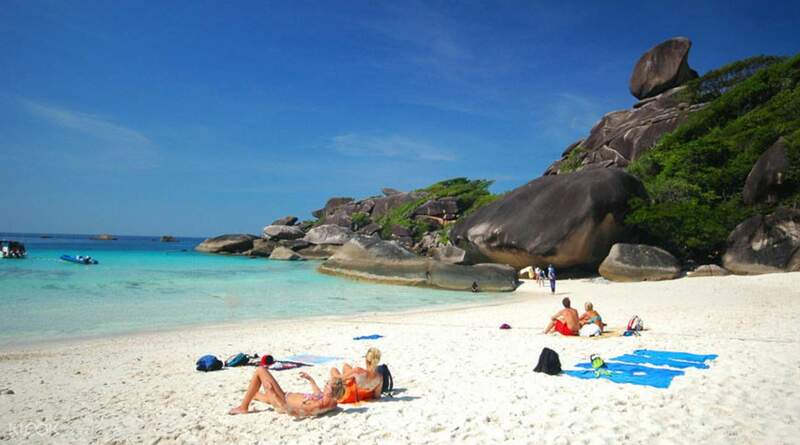 Koh Similan is a must go in phuket! It will be great if only go for one snorkelling instead of two. We will be given more time to stay on the beach. The last island we having lunch is amazing! Crystal clear water 💙 All picture capture without filters. Worth the trip. It is a very fun experience although the journey is more than 2hours + but nonetheless its worth it. Great trip and the food is good 👍🏼 the service from the crew is awesome! Worth the trip. It is a very fun experience although the journey is more than 2hours + but nonetheless its worth it. Great trip and the food is good 👍🏼 the service from the crew is awesome! We joined a Russian/English tour, both tour guides were absolutely lovely ladies, super friendly and helpful, and spoke good English. our day started early, 0500 pick from Karon, full bus, which was abit squishy, stopped at a servo for a simple breakfast. Arrived at the "pier" which was a beach, right before the bridge attaching phuket to main land Thailand. 1hr 40min on the speedboat had us out to the 1st island stop, lookout walk and gorgeous beach, shady areas to sit and enjoy the view. afew rocks to walk over to get back on the boat. then 2 sites for snorkling off the boat before lunch at Princess Bay, lunch was under whelming compared to other cheaper tours we had been on. tour guide Yui had told us the "lunch box" wasnt great, bit confused as we thought we were having buffet lunch. 2 hours on the island to explore and swim, which hundreds of the tourists, loads of Chinese taking glamour shots in full dress. Speed boat home made a Russian guy throw up on some of us, wasnt awesome. and 3 hr bus ride was longer due to evening traffic, but was a great day. We joined a Russian/English tour, both tour guides were absolutely lovely ladies, super friendly and helpful, and spoke good English. our day started early, 0500 pick from Karon, full bus, which was abit squishy, stopped at a servo for a simple breakfast. Arrived at the "pier" which was a beach, right before the bridge attaching phuket to main land Thailand. 1hr 40min on the speedboat had us out to the 1st island stop, lookout walk and gorgeous beach, shady areas to sit and enjoy the view. afew rocks to walk over to get back on the boat. then 2 sites for snorkling off the boat before lunch at Princess Bay, lunch was under whelming compared to other cheaper tours we had been on. tour guide Yui had told us the "lunch box" wasnt great, bit confused as we thought we were having buffet lunch. 2 hours on the island to explore and swim, which hundreds of the tourists, loads of Chinese taking glamour shots in full dress. Speed boat home made a Russian guy throw up on some of us, wasnt awesome. and 3 hr bus ride was longer due to evening traffic, but was a great day. very good experience ! the tour guide were both amazing ! breakfast and lunch was included + snacks in the boat and after the tour! very good experience ! the tour guide were both amazing ! breakfast and lunch was included + snacks in the boat and after the tour! we were the first arrived similan island. i had chances to enjoy d island and amazing view from the cliff top after about 10 minutes hiked.. same goes to the other spots which is really an amazing view including snorkeling. unfortunately due to cny holiday there was a lots of Chinese mainland in the island who not sensitive with the cleanliness and hygiene. I not really enjoy the tour. may i have to take the same tour but not during peak season. they ruined my holiday. we were the first arrived similan island. i had chances to enjoy d island and amazing view from the cliff top after about 10 minutes hiked.. same goes to the other spots which is really an amazing view including snorkeling. unfortunately due to cny holiday there was a lots of Chinese mainland in the island who not sensitive with the cleanliness and hygiene. I not really enjoy the tour. may i have to take the same tour but not during peak season. they ruined my holiday. Driver arrived at pick up very on time. Started the tour early so the islands were still relatively empty until the other tour groups started rolling in and it became extremely crowded on every island. Very friendly guide. Snorkeling was ok. Driver arrived at pick up very on time. Started the tour early so the islands were still relatively empty until the other tour groups started rolling in and it became extremely crowded on every island. Very friendly guide. Snorkeling was ok. Absolutely fantastic. We had an awesome day. Guides were great. The food wasn’t great and wasn’t suitable for children but we didn’t note any dietary requirements on our booking. Would still go again in a heartbeat. Absolutely fantastic. We had an awesome day. Guides were great. The food wasn’t great and wasn’t suitable for children but we didn’t note any dietary requirements on our booking. Would still go again in a heartbeat. Although the journey is long to the pier, the guide is really nice. Similan island is really beautiful. The guide took us to the secret beach which is also worth visiting. The view on top of the sailing boat rock is fantastic. 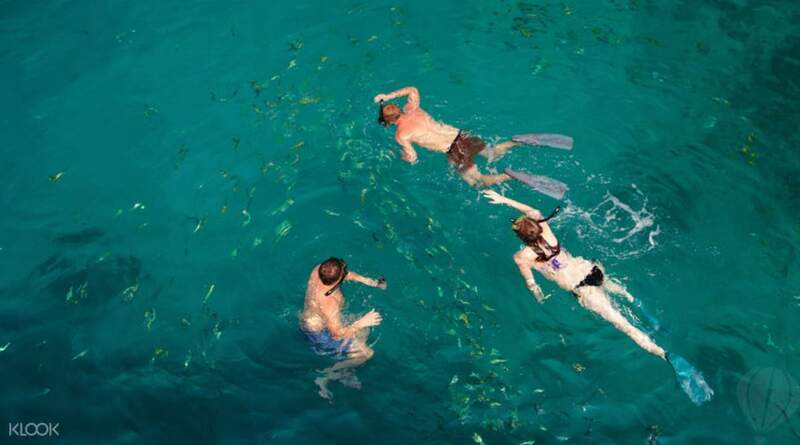 The snorkeling experience is also nice. Sometimes you may also see turtles and dolphin if lucky enough. Although the journey is long to the pier, the guide is really nice. Similan island is really beautiful. The guide took us to the secret beach which is also worth visiting. The view on top of the sailing boat rock is fantastic. 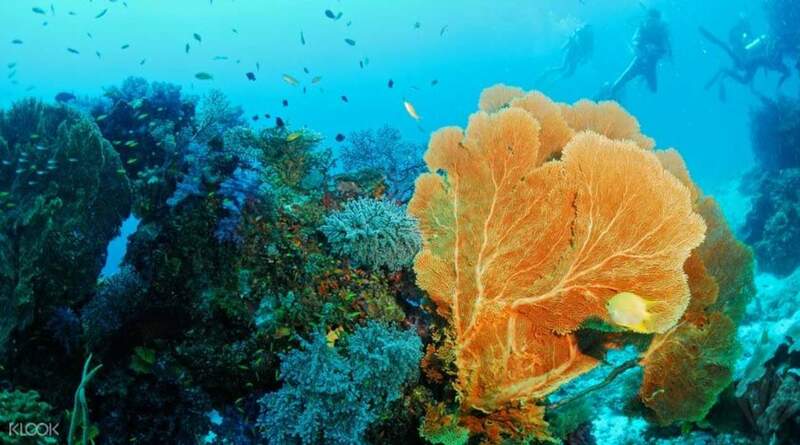 The snorkeling experience is also nice. Sometimes you may also see turtles and dolphin if lucky enough. wonderful except a bit far. Thanks for the snorkelling guide! wonderful except a bit far. Thanks for the snorkelling guide! The tour was fun, and the waters there are really clear and pretty. Kudos for the tour group to be fun and friendly and always willing to help anyone. The tour was fun, and the waters there are really clear and pretty. Kudos for the tour group to be fun and friendly and always willing to help anyone. Q: Which pier will the tour depart from? A: The tour will depart from Thuplamu pier in Phang Nga province. Q: Can I take luggage with me on the tour, and can I be picked up and dropped off at different hotels? A: As this is only a one day tour, please note that the pick up service will not be able to accommodate luggage. If you require pick up and drop off at different locations within the designated areas, kindly indicate the two different hotel addresses upon check out.